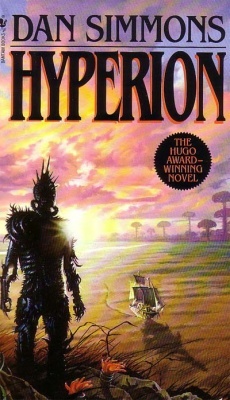 There are also a few short stories also set in the Hyperion universe. Simmons is a virtuoso novelist, whose versatility and ability to write across genres is unparalleled – I don’t know any other writer who can comfortably produce science fiction, fantasy, horror, mystery, historical fiction, or books that blend any or all of these genres as prolifically or as skillfully as he does. Like many of his books, the Hyperion Cantos abounds with references to classical literature – the structure of the novel mimics the frame story of Chaucer’s Canterbury Tales, and the planet on which it is set and from which the book takes it’s title is an unfinished epic poem by John Keats. It’s the 28th century, Earth has been destroyed and humans have colonized the galaxy. Far Future Space Opera! 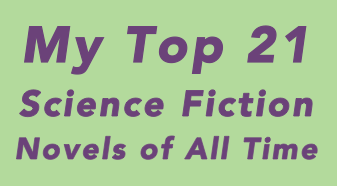 Cultural, historical, and science fiction references abound! (Again, the Dying Earth.) Jesuits! Time sickness! Religious mysticism! The internet as a technology imposed on the physical universe! and much much more. In some ways reminiscent of Farmer’s Riverworld concept, in these books the world, characters, and events of Homer’s The Iliad have been recreated in the future on Earth and Mars. Or have they? Again, literary references run amok!